The history of the birth of Linden Lodge in Pinehurst, NC. 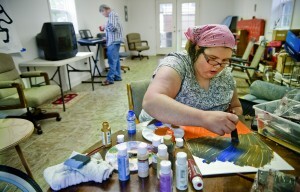 is the story of a residential home for people with brain illness. It takes no state funds, but rather operates exclusively on fund raisers and donations from the private sector. 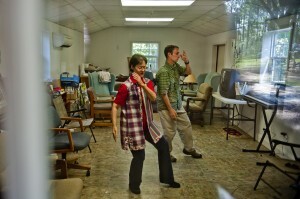 Its goal is to prepare residents to go back into society and live independently. 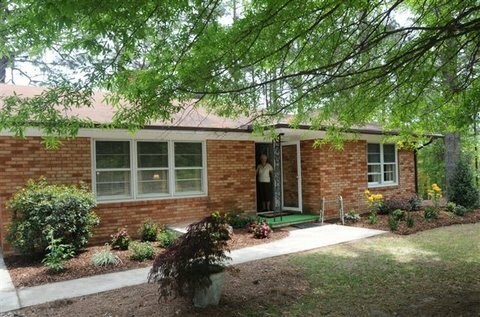 Linden Lodge offers a unique residential and rehabilitation program to assist adults of Moore County and the surrounding counties that are diagnosed with a serious mental illness. A team has been assembled to help individuals successfully maintain psychiatric stability and assist, if possible, with meaningful employment, volunteerism in the local community, and the pursuit of educational opportunities. Residents have on-site access to recreational, art and music therapy, and physical fitness and wellness opportunities. The property consists of 6.57 acres, and currently has a 7 bedroom and 3 bath home – which can house 6 residents and one (1) 24 hour staff member. The property currently has grounds where a garden nursery operated for 20 years, 2 water wells, garden cold frames, and an outbuilding for art and music therapy and physical fitness activities in addition to peer support group meetings. Before arriving at Linden Lodge, each resident’s current mental health is evaluated by their current clinical team. Based on this evaluation, an individualized plan is developed with the appropriate goals – a person centered plan. These goals are developed by both our professional staff, the NC DHHS approved Service Provider, and the residents themselves. All residents must be enrolled with the Sandhills MH/DD/SA Center or a private mental health service provider. the Daymark Recovery Services Moore Center (our public health system), medication administration, monitoring and management, transportation to appointments and events, mental health status checks, treatment goals, supportive employment (through NC Dept of Voc Rehab), and last, but not least, residing in a “family home” setting. 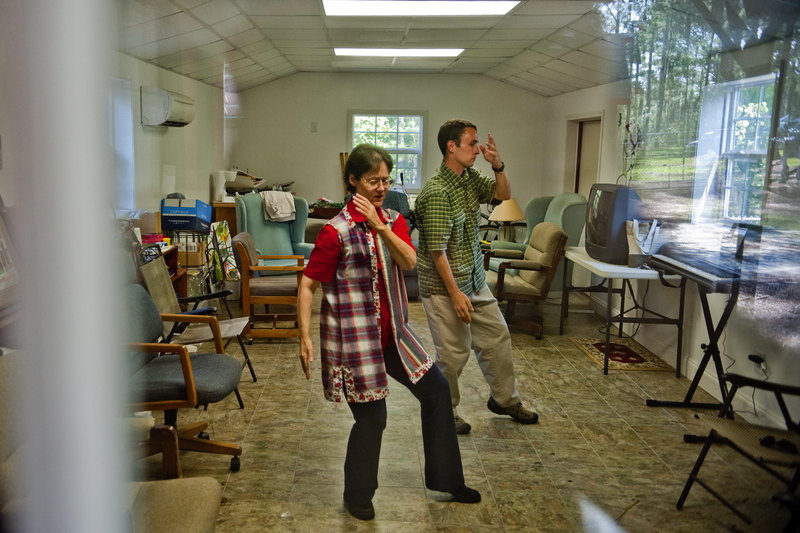 Linden Lodge Foundation, Inc. a licensed provider of residential services by NC Department of Health and Human Services (our public mental health system) will operate both the residential community and help develop day program activities for the residents. Linden Lodge Foundation, Inc. is the property owner and manager of Linden Lodge. NAMI-MC provides volunteer support and limited volunteer oversight of the ongoing residential activities. The philosophy of this community is that individuals learn to live life by living it! It is the goal of the Linden Lodge Foundation, a non-profit foundation, to provide residents with those opportunities that will encourage them to take part in employment opportunities, recreational activities, and physical fitness programs. Necessary living skills such as personal hygiene, grocery shopping, food preparation, housekeeping, budgeting, and time management are focused on. Linden Lodge focuses on the development of friendships and emphasizes the importance of family relations. Psycho-educational training in social and independent living skills, illness management, recovery methods, and substance abuse prevention will be components of any programs offered. Unique to Linden Lodge is the belief that challenging and supportive work in a healthy environment can re-establish self-esteem while reintegrating into the community. While at Linden Lodge, residents have the opportunity to participate in educational programs through local institutions should they meet the educational requirements. A focus at Linden Lodge is on current and relevant community and world events and the opportunity to have social interaction and relationships. It is in this area that volunteers from our local community are relied upon to share their talents, i.e., cooking, gardening, painting, music, crafts, pottery, physical fitness, etc.